The manual is also available as pdf here. Thank you for using Battery Overlay Percent, the most comprehensive battery percentage tool for overlaying your battery icon. Most battery percentage tools available on the Play Store uses Notifications to show your battery percentage. Notifications on Android are being displayed to the opposite of your battery icon / clock / signal which makes the percentage notification takes valuable notification space. 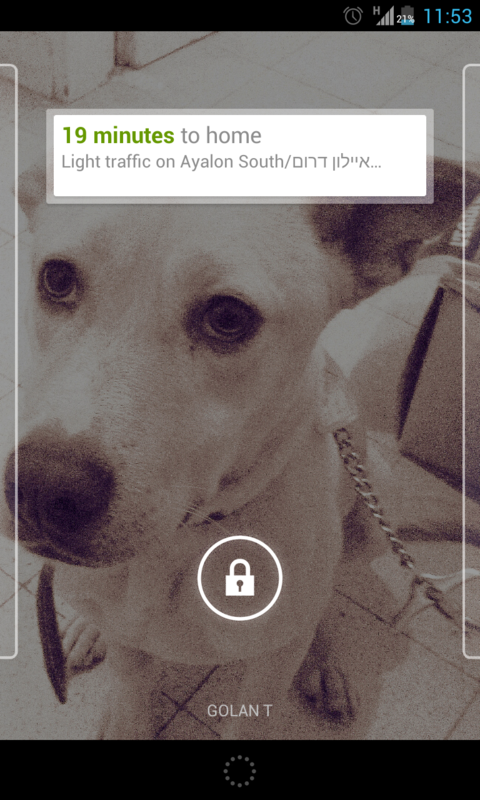 Unfortunately there is now simple way provided by Android SDK to put a notification on the other side of the statusbar. That’s why Battery Overlay Percent uses overlay. It creates “floating” percentage that is being drawn above the statusbar. That means – Battery Overlay Percent is responsible of moving “guessing” where the system draws the statusbar elements. KitKat (4.4) Android has hidden percentage available within the system. it provides simple black & white percentage. you can check many apps on the Play Store to enable control of this setting. It’s limited in size and was only truly functional on Lollipop (on KitKat it will only show on areas where the battery is empty). Third-Party: Many phone makers (Samsung, LG, Sony, HTC, etc..) has Show Percentage on their custom Android Versions. usually it provides percentage after the battery icon on the statusbar. The application itself is a service running in the background. it tries to consume minimal memory as possible and is optimized to take insignificant battery usage. (You can use many battery monitoring apps to see it has minimal footprint on your battery). Android’s Notification Listener Service allows applications to process notifications. Battery Overlay Percent uses the data to “duck” when notifications arrive. Accessibility Service provides apps with updates about user actions. detect when status bar / drawer is open. Entire section is described below. When selected adds % symbol next to the percentage value. When toggled, each time you connect the device to charger or disconnect you’ll hear a tone indicating whether the device is charging or stopped charging. * This is very useful for devices with stock Android without such feature. life saver for those cases where you just discover the morning after your device didn’t charge at all! Allows to show/hide the percentage on the lockscreen. (Default is checked to hide it prior to setting it up correctly). Choose between showing the percentage event when the device is charging or hiding them completely. Allows to show/hide the percentage on the lockscreen while charging. When checked, the percentage will blink when device is charging make it more clear that the device is actually charging. Allows to show/hide the percentage even when in fullscreen for games / movies / etc.. Note: This DOES NOT apply to United States / North American users. This DOES apply to German and Russian users and other european countries. Some locales and Android version represent a single digit hour with one number (Eg. 9:00) instead of two numbers (Eg. 09:00). If you see your percentage “moving” (or actually staying in-place…) turn this on and set Single Hour Offset. When 12hour clock is being used Battery Overlay Percent moves the position based on Single Hour Offset value. on some rare cases (for example when you’ve decided to put the overlay on the opposite side or other customized places), you can check this checkbox to ignore the offset value causing the overlay to stay in a static place. Same as the above but for lockscreen. Toggles between 2 types of overlay flags provided by Android O/S. Old Motorola based Android devices doesn’t provide accurate percentage values. If you see partial percentage updates (Eg. from 100% to 90% without smaller values) and you’re using a Motorola device you should turn it on. Generate an email with Battery Overlay Percent current settings ready to be sent to developer. Note: please try to write you issue and attach screenshots. e-mail without additional information cannot be addressed! This screen controls most important customizations to make the overlay positioned correctly for your device. Not all devices are equal. that’s why Battery Overlay Percent allows advanced customization of the overlay position. Sets the font size for the percentage. Allows to set a different color for the overlay. For Premium Users this is the “normal” color which will be used below the high value and above the low value. Sets the size/width of the outline around the percentage. Battery Overlay Percent supports RTL locales and custom positions. The alignment settings switch the way Battery Overlay Percent calculates the overlay position. Right – calculates from the right of the display adding the desired offset. Center – calculates from the center of the display spreading the offset value. Left – calculates from the left of the display subtracting the desired offset. Same as Alignment but for lockscreen. Same as horizontal offset but for lockscreen. Same as vertical position but for lockscreen. Note: when set to values below 0, Battery Overlay Percent will use the Vertical Position set above. Sets the offset for single digit hours (such as 9:00). Sets all values to their defaults. Additional features available for donating (paid) users. Round percentage to single digit – Allow showing a single digit instead of multiple digits. For example 87% will become 9, 63% will become 6%. Default Battery Outline Color – Sets the color of the percentage outline. Font Style – Set different typeface (normal/bold/bold italic/italic) for the percentage font. Due to request by many users the main premium feature is to set up to 4 ranges of colors. For example: (high) when above 90% use green; (default) when below 90% and above 25% use white; (low) when below 25% and above 15% use yellow; (critical) when below 15% use red. In order to set it correctly you’ll first need to set the value for each range. How do I set the default range? The default range is an outcome of High and Low values. it’s between them. For example, when High set to 90% and Low to 60% that means that the default is between them (low<DEFAULT<high). High/Low/Critical Battery Color – Set the percentage color for the particular range. (for default you should use the default color available also for non-premium). High/Low/Critical Battery Outline Color – Set the percentage outline color for the particular range. (for default range you should use Default Battery Outline Color available above). Font Style When High Percentage / Low/ Critical – You may also have different font face for each range. this can be done by selecting between (Normal/Bold/Bold Italic/Italic). (for default range you should use Font Style). * L-Preview initial compatibility (I tried my best without real device available for testing). * Upon updates app should rerun by itself. Today I’m happy to release version 1.0 of Battery Overlay Percent. I feel this is worthy being called the full number as it has enough features and stability. Choose your font-size! now fully customized for all! Choose your color! Palette selection for all! Set specific colors to specific battery percentage values! Battery Overlay Percent 0.9.8 Released. Battery Overlay Percent is the most advanced Android battery status bar solution to show the percentage over you battery icon (instead of additional notification) while not requiring root or modifying your device. * 3 digit support for 24h clock. * Russian, Polish and Hebrew translations. * Hide on lock screen set default. Battery Overlay Percent has been updated to version 0.9.7. * bug where percent showed on full screen when receiving notification. * better handling for multi-line notifications. * sound notification when connected/disconnect from power. * support for Motorola’s alternative battery percentage method. * add option to use Motorola’s one-percent-hack for better accuracy on motorola device. * separate lock screen offset & alignment. * full alignment options to overlay for better compatibility. My own favorite with this release is actually the sound notification. Don’t you have it when you connect the device and discover in the morning the phone didn’t charge? This is actually what’s this feature all about!